Seoul occupies a special place in my heart, having stayed there for an extended period (before this blog was started). I was very stoked when I planned for a trip back there last October. 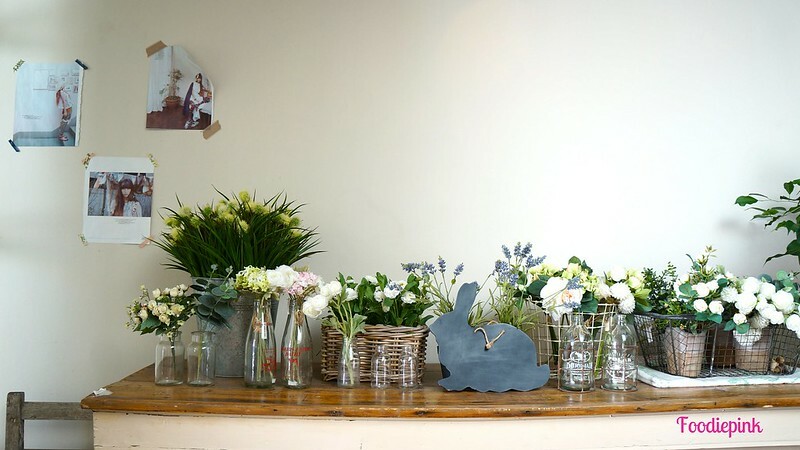 It is one capital that possesses a strong café culture, with streets and areas dedicated to cafés – not just any run-of-the-mill cafés may I add, as each and every one has their own unique theming which draws you in, though it may be your fifth cuppa. 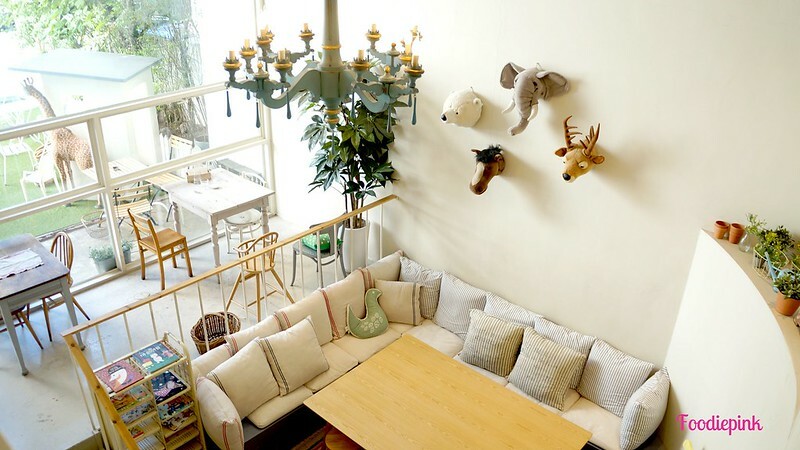 I’ll be posting a café in Seoul every week from now, until my list is exhausted. 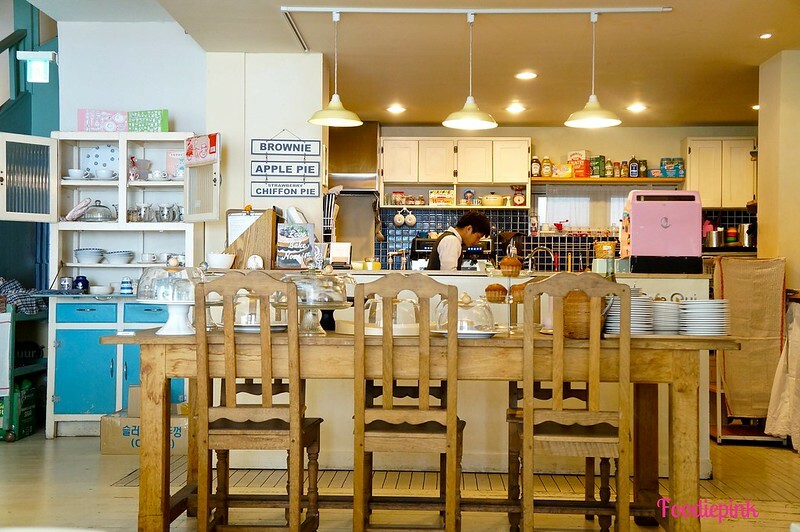 For the first of my Seoul series – Café Oui, is one of the biggest cafés in terms of space area. Lots of photos ahead! 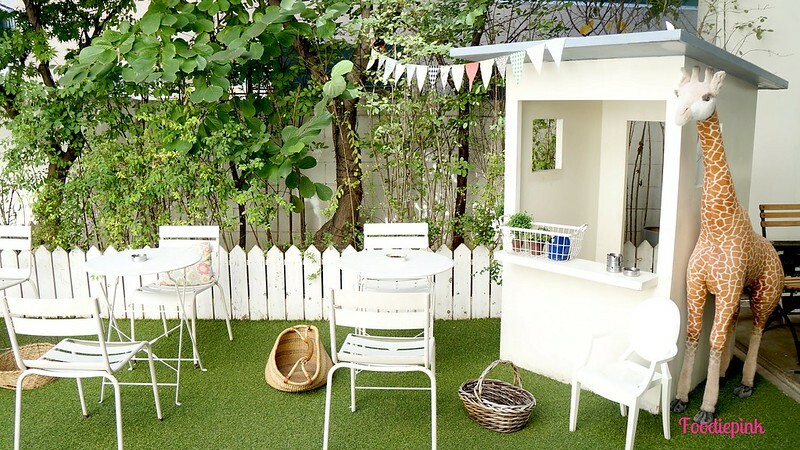 Artificial grass sprawled the front of the house, creating a “garden party” effect. 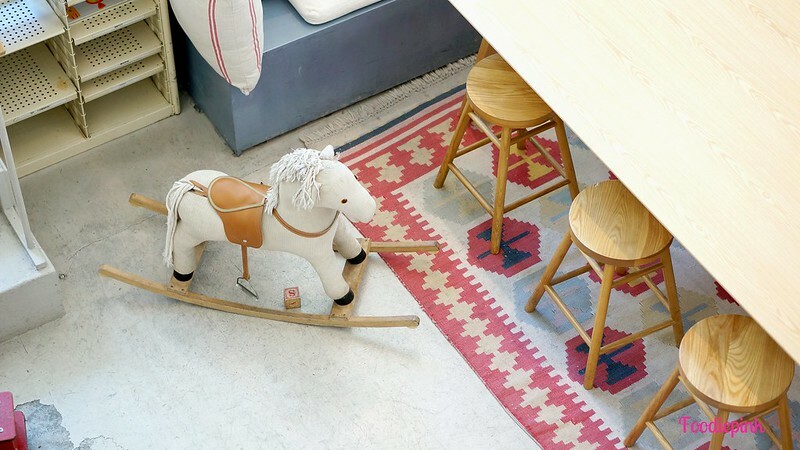 Mezzanine floor of the café was oozing with coziness. 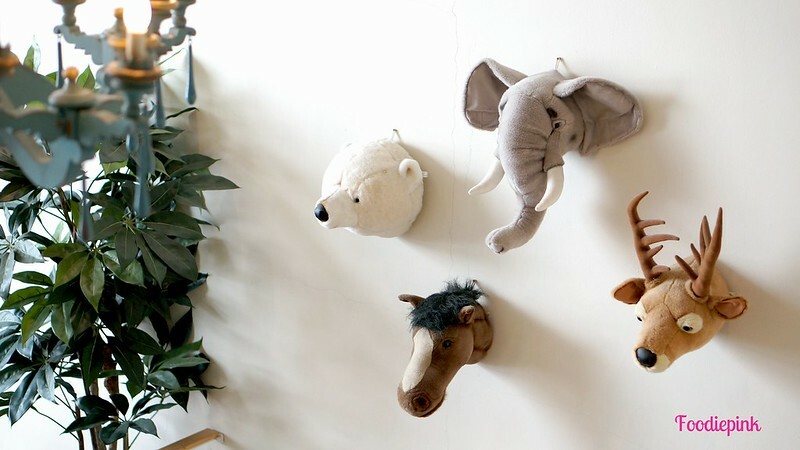 I really loved the animal-head stuff toys mounted on the wall – so much friendlier than the real deal! 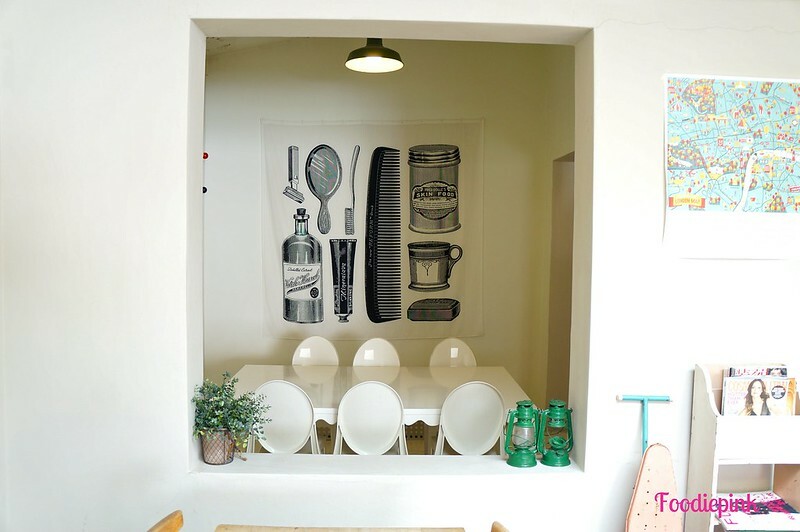 The “kitchen” area on the second floor before going up to the next level of the café! Everything was love *sigh*. The third level of the café was huge, comprising of different spaces, including a balcony. 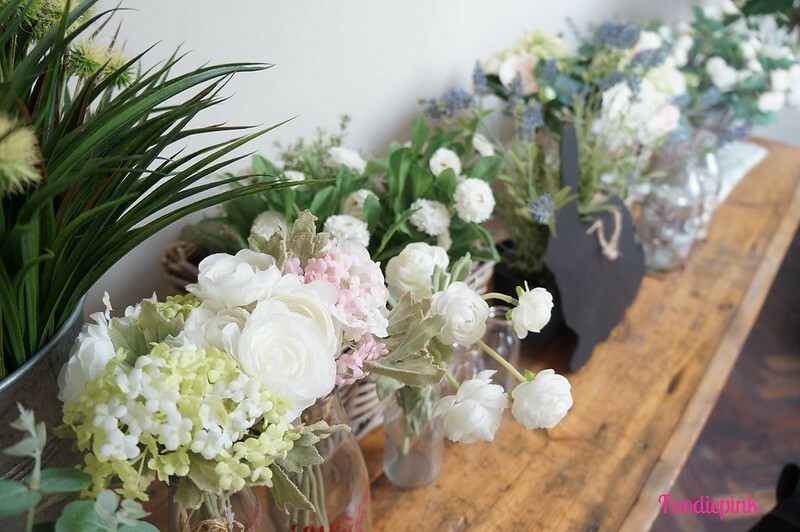 I was majorly swooning over this set-up!! And of course, we grabbed a table in front of this! 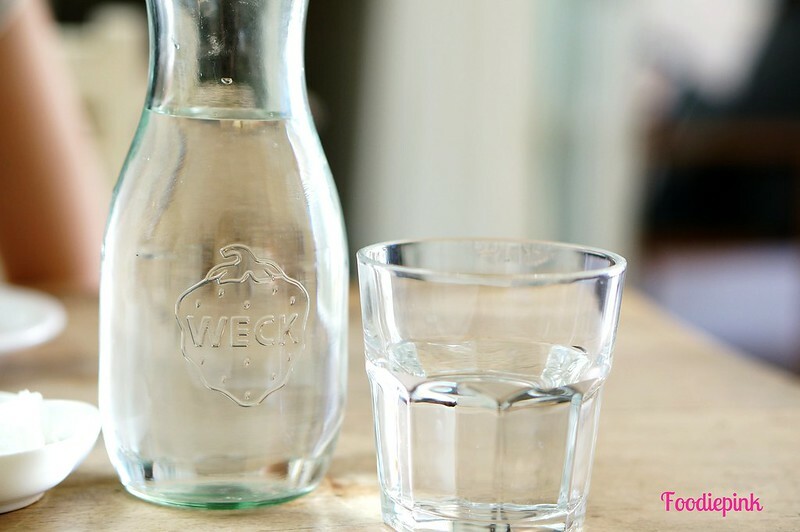 Chilled water promptly arrived in glass milk bottles. It was a charming wooden table that we seated on. I suppose we looked outrightly tourists – ooh-ing, ahh-ing and snapping photos away – as the service staff handed us a menu with USD pricings (bill paid in Korean Won). Spanish Omelet Rice [Tenderloin, Eggs, Tomato Sauce] (USD$15) – A signature dish at Café Oui, this was absolutely fantastic! 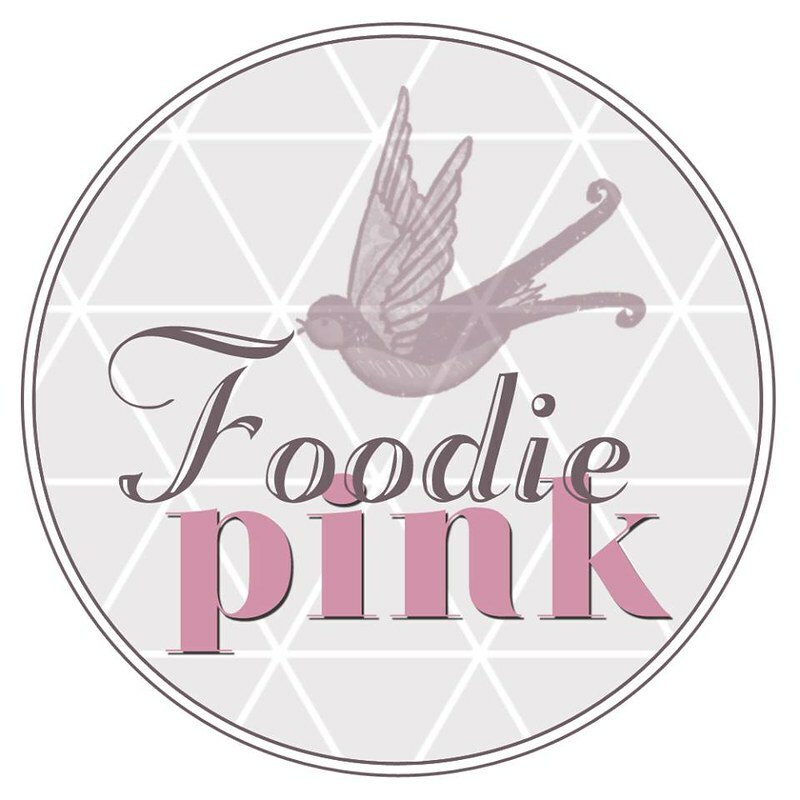 The taste of each element blended so flawlessly and the entire dish was Amazing, with a capital ‘A’. It was possibly the best omelet rice I’ve had yet. What made this an exceptional dish was the tomato sauce that was rich, thick and flavourful. It was far from the usual pasta tomato sauces but I couldn’t quite put my finger on it. 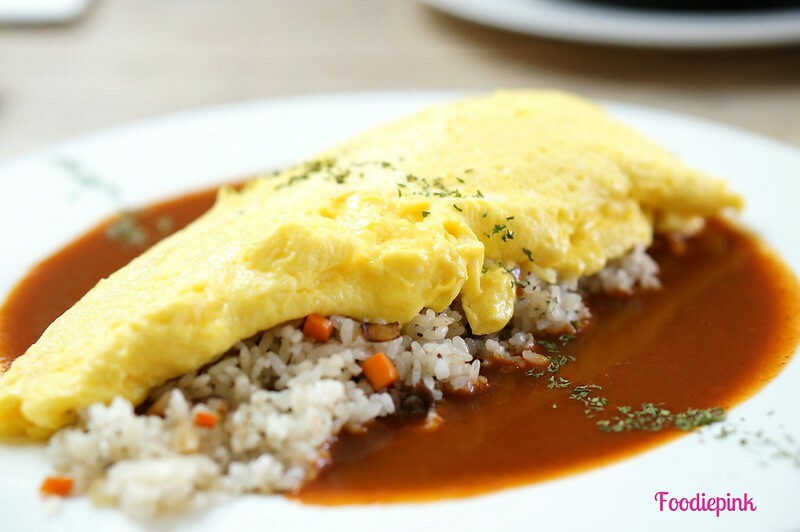 The omelet was moist and fluffy, while the rice had a nice fragrance to it. Definitely a must-order at Café Oui! 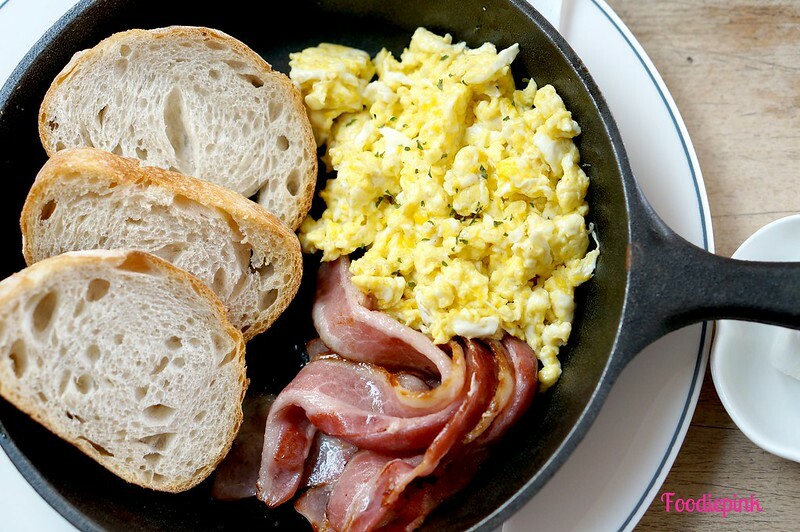 Toast Brunch [Toast, Baked Bacon, Scrambled Eggs] (USD$12) – My friend preferred this dish though – credits to the amazing bacon slices. But you see, I’m not a bacon fan. Also the bread crust were rock-hard. Otherwise, it was a very hearty breakfast plate! 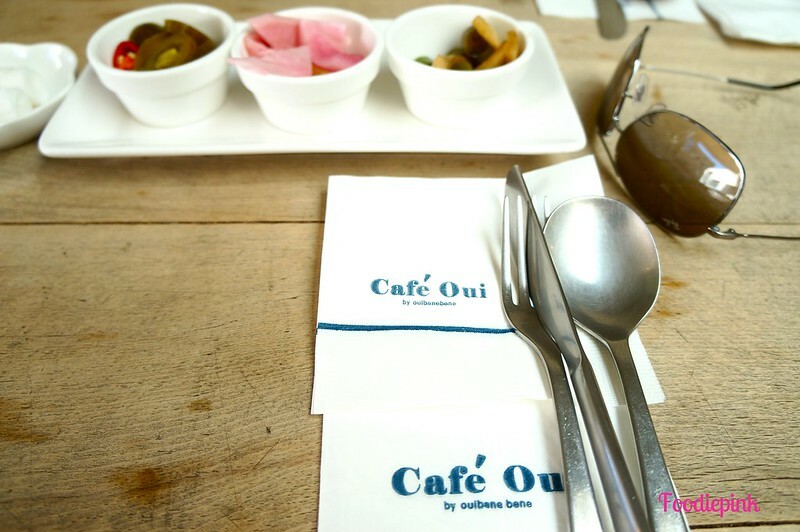 Café Oui is a must-visit at Garosu-gil as you wouldn’t find any more cafés with such a huge capacity (that is not a chain), so you can expect the amount of details you can find within just one café. I remembered it being magical when I first entered and I wanted to just soak in and digest all the wonders the café offered. Oh, how I miss Seoul. Take Line #3 to Sinsa Station. Take exit 8, and follow the directions to Garosu-gil and turn in. Keep walking on the left until you see Beans Bins Café and turn left. Walk straight one block, then turn right at the mini intersection. Keep walking straight until you see the 7-11, then turn left. 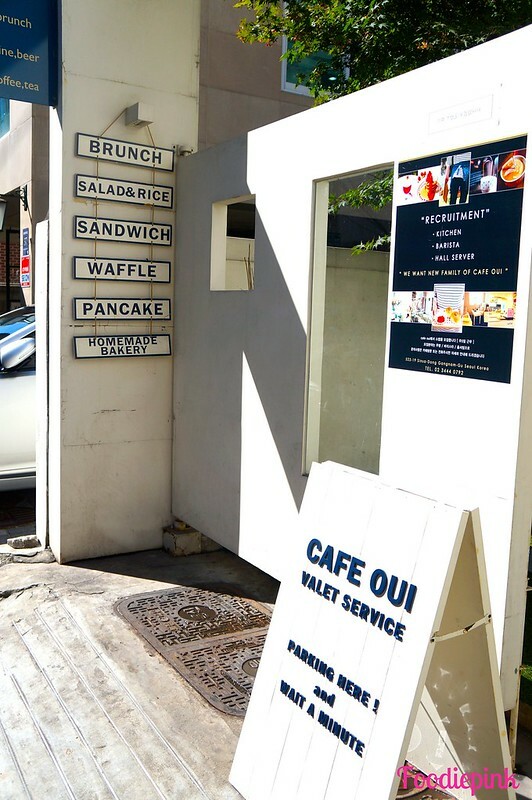 Café Oui will be on your right.